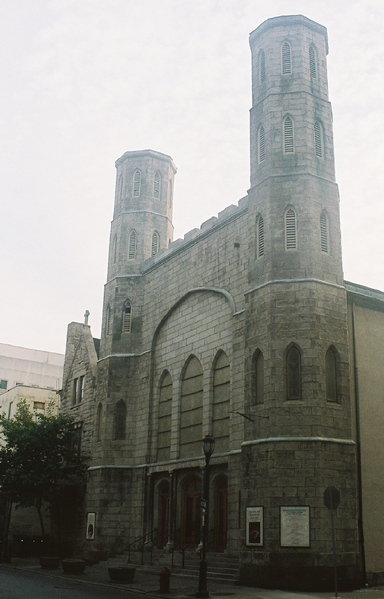 previous: Philadelphia city tour and history In 1871 EJ Phillips "began a three years engagement under the management of Lawrence Barrett, and next appeared at the Chestnut Street Theatre in Philadelphia, which was then controlled by FF Mackay. EJ Phillips, Hattie and Albert had lived in Philadelphia until 1877 before moving to New York. New York, Feb. 28th 1887 The idea at present [for daughter Hattie and John Dolman's wedding] is that we go over to Phil[adelphia] on Easter Sunday AM. Have Mr. Graff come to the house to tie the knot. Then you and I take the train for NY, I having to play that night. An April 11, 1887 letter from Albert in Philadelphia to Neppie Macardell in Middletown gives an account of Hattie's wedding. You are doubtless surprised at my extreme "freshness" in thus addressing you without first having asked permission, but the events of the day have raised my spirits to the highest pitch and I feel pleased with myself and everyone else and want to impart some of my good feelings to some one, and I venture to hope that yours will not be an uninterested ear. I gave my sister away at exactly twelve o'clock today and thereby broke our family circle. There were only three of us, and now but two are left. Everything passed off pleasantly and smoothly and only two persons outside of family were present, viz, the minister and the fiancée' of one of the Dolman family, a very sweet pretty girl and will make Jim as good a wife as Hattie will be to John. After the ceremony (which both Hattie & John took in the most matter-of-fact manner) the wedding lunch was served and joy reigned supreme. At 3:45 Mother had to return to NY where she plays tonight, the bride and groom accompanying her as far as Wayne Junction (10 miles from here). As they left the house, against their express desire, we showered a quantity of rice upon them. They will return on the first train and repair to the house, which is all ready for occupancy and a marvel of convenience and beauty. Very small, but entirely new, finished in cherry and ash and furnished with presents from true friends. The presents are numerous (45) and handsome, among which may be mentioned: a handsome set of imported china dishes, a marble clock, bedroom set in Antique oak, rocking and dining room chairs, several handsome pieces of silverware and glassware, and some jewelry [much of the furniture was purchased with the gift of $100 given by EJP as described in her Sept. 20, 1889 letter to Albert]. Breastpin and earrings of pearl settings & bracelet etc., etc. As they left the house they remarked that they would not be at home to visitors for several days. So I don't believe that I will see her again this time. She is a dear girl and has a good husband and I don't believe I ever did her justice for I felt as though I had lost my dearest friend when the ceremony was being performed and came the nearest to shedding tears I can remember in a long time. It is the first wedding I have ever attended and I never had so much respect for the ceremony as I have now. It always seemed to me to be more for show than for anything else, but I feel differently now. Have not attempted to transact any business as yet. Will commence tomorrow. I wanted this day to be free from any care or anxieties and therefore discarded all thoughts of business from my mind. I hope to return to M'town this week or on Monday of next, as I think Mother would like for me to spend a day or two with her in New York. She will miss Hattie greatly, but in a few weeks will commence to travel and thereby her mind will be taken from the subject. The pens and ink around here are as strange to me as I was to the ceremony, therefore I beg your indulgence while you wade through these pages. On Saturday [son-in-law John Dolman] took us and Mrs. Dolman & Walter [Dolman] to see a game of baseball by the "Philadelphias" & Detroits. Mrs. Dolman & I got pretty excited over the game. I standing up at a home run and Mrs. Dolman crying out "Stop, stop" to one of the men who was running from 3rd base. We quite disgraced ourselves. We are going to see the game on Thursday by the Philadelphias and Chicagos. We expect great excitement then. The game on Saturday was an exhibition game but it is a championship game on Thursday. I have not yet heard from New York, but I imagine I shall have to leave here on Friday, certainly Saturday for Boston. I had a letter from Maud [Harrison] from Manchester-by-the-Sea. She told me we were to open on the 5th with Jim the Penman, 2nd week Elaine to be followed by the Martyr and Mrs. [Agnes] Booth has gone to New York to see AMP[almer] about it, as she did not want to play the part in Boston before playing it in New York. I hope she will be successful. Jim [the Penman] is to be played here in the "Arch" [Street Theatre] next Monday. Mr. Holliday will be with the party. Joe Whiting as "Jim" & Ada Dyas as "Mrs. Ralston" and Mr. [H.M.] Pitt for his old part of "Percival" This will give us rehearsals as the cast must be changed considerably. So I might be called to Boston sooner than I expect. I am feeling better in some respects, but have caught a cold and my nose is very troublesome. Suppose it is a baseball cold. More likely the great change we have had in the temperature. championship game I wasn't sure what EJP meant by championship, but got this answer from Howard Rosenberg (author of several 19th century baseball books). His answer was that "Providence (a National League team) played New York (an American Association team) in the postseason championship series. However, back then, a regular season game was often called a championship game because it counted in the standings toward which team won the championship. Today, perhaps a parallel would be for a writer to call a regular-season game a pennant (or championship) game, instead of a regular-season game. Regular-season game is kind of blasé." 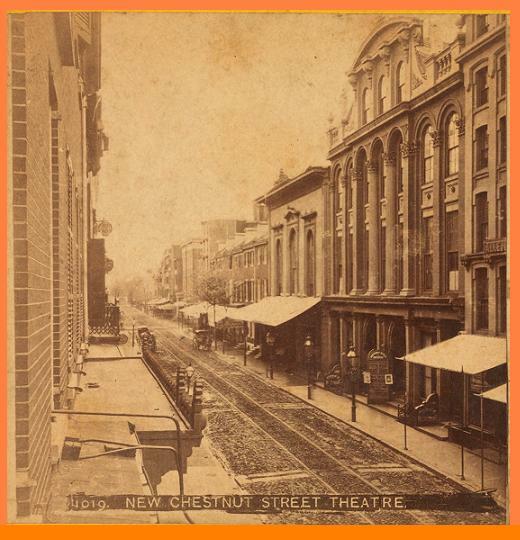 Arch Street Theatre opened in 1828 as a rival to the Chestnut and Walnut Street Theatres in Philadelphia. 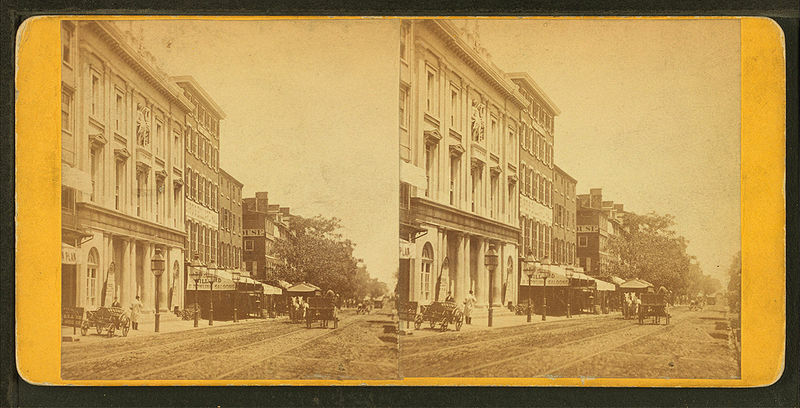 The theatre's heyday began in 1861 when Mrs. John [Louisa Lane] Drew (1820-1897) established it as one of the greatest of American stock companies. I have been kept so busy during the day, and the nights so warm that we have not lighted the gas, so days and nights have passed and no letters written. On my arrival I was tired out and felt quite sick. I am feeling better, but not so strong. Hattie is much better than she was on my arrival. Then I felt rather nervous about her. She looked so pale and thin and her eyes looked so large. She breakfasted downstairs this morning for the first time. The boy [grandson Jack Dolman] is a month old today. He grows fast. He has had colic for a day or two, but otherwise seems thoroughly healthy. He is very strong, and is almost too much for his mother to nurse. So Grandma has to do a great share of the nursing. He looks like our side of the house. Some say he looks like you and I think he does. He is a fine boy anyway. As you are not likely to come here for your birthday, I do not suppose the christening will take place on the 8th as that was my proposition. No, I did not think you an "ungrateful Kid" dear, but I was on the point of writing to you when your letter arrived, to ask if you were ill. Your nephew keeps us pretty busy attending to him, that I do not get much time to write, and feel I have been neglecting you. The boy [Jack Dolman] grows very fast. Last Monday he weighed 13 1/4 lbs. He weighed 8 lbs when he was born. So that was an increase of over a pound a week. And that accounts for Hattie not regaining strength. I am still fighting AM P[almer]. He wrote me to meet him in New York next Wednesday. Before writing an answer, he telegraphed me yesterday to go to New York tomorrow. I answered I did not wish to go, as I was not feeling very well. Have not heard from him in reply to that. He wants to talk me over to playing Wilhelmina in Heart of Hearts in San F'co for one week, and one night each in the other cities we may play in. It would amount to about two weeks performance of the part, which would cost me, at least calculation $100 to dress. Then I should have to go to New York, have trunks out of storage, pay two weeks expensive board, attend rehearsals every day - wear myself out before starting for the long journey to California, and all for the benefit and convenience of A.M. P[almer]. So I may as well remain where I am. If he can do without me, perhaps someone else will take me in the Fall. I have been his Jack at a pinch long enough. It has made me ill and nervous, and I cannot allow him to impose upon me any longer. I have told him that he ought to have cast me for the part at first, but as he saw fit to give it to someone else, I had gone to expense dressing the other part and could not give that up. How it will all end time will tell, and then I will tell you. I suppose you are having a grand time in your new city today. I hope you will not tire yourself out too much in parading. Yesterday I was surprised by a call from Mr. Wm Palmer who had come to the City on some other business and thought he would call and see me. I no doubt was the business. We had a long chat. He told me that if he could help it, the play of Heart of Hearts would not be done at all, but if the managers wanted it, they would have to be ready for it, and that I should not spend one dollar on the part, but if I had to, he would see that I was repaid. Said he wouldn't go to California without me. He also told me that Miss [Annie] Russell was going and possibly Maud [Harrison]. That Our Society is to be done & many things that make the Company much better than it was, as it was arranged, when I left Boston. So I have promised Wm Palmer to do the part, Miss [Virginia] Buchanan doing mine. We leave early in August. Sorry I shall not see Neppie [this seems to be the first mention of Albert's soon to be fiancée Neppie] when I visit you. Too dark to write more tonight. Had a note from AMP[almer] yesterday asking me to be in Mohawk today. I wrote him that as I had seen his brother, I thought he would find no occasion for me to go before the 1st of August. That note he would get this morning. I guess the matter is all settled, and while I have consented to play the part of Wilhelmina [in Heart of Hearts] if the play is done, yet he has humbled himself more than his letter to my refusal would show. And I stated my case in very strong terms too. You are right. He has made utility of me, and I told his brother so. I think the California managers have insisted upon having more plays and more ladies than AMP intended sending. When I left New York Misses [Annie] Russell, [Maud] Harrison & [Mathilde] Madison were not to go. Now they go and perhaps Miss Ada Dyas. When I left Boston besides myself there was only to be Misses May Brokyn, [elsewhere her name is spelled with two o's, but EJP consistently spelled it with one] [Marie] Burroughs, Kate] Moloney & Miss [Clara] Lipman all rolled into one would make a bad actress. Thanks for the recipe for whooping cough. I will tell Nellie about it. I had a pretty hot, disagreeable week of it in New York. The heat of the weather being so intense, I was deprived of strength and motion and could not attend to half of the things I wanted to. I rehearsed on Thursday in Saints & Sinners and on Saturday in Capt. Swift. Was 25 minutes past 12 when I got through and I had to return to 47 [East 21st St.] to finish packing and get to the DesBrosses St ferry by 2. So I had to hustle and found it pretty hard work. I enclose you a list of the dates and places we visit and you will see by it that we go by the Erie road, and of course will pass Middletown about 5 PM. You would be able to find out whether the train stops there or not, and if it stops you will be able to see me for a minute or so. I shall be on the lookout for you. Aunt Jack this week. Next week Capt. Swift. Saints & Sinners and Jim the Penman. I am in all three plays and we give a Wednesday & Sat Matinee. "Uncle Albert, a Kiss for you and for Aunt Neppie from your nephew, Jack Dolman" [written by EJP -- not Jack] This is the writing of Jack. He sends Kisses to everyone. It is rather difficult to think while he is around. He is well and growing nicely and knew me as soon as he saw me get off the train. Hattie is not very well, but I think she looks better than when I went away. We are expecting a telegram from you every day. Just as I had written this the telegram came. We are, of course, delighted and hope the boy, Mother, and father will continue to do well. Hattie says she is so pleased to hear the father is doing well, because he always looks so delicate. God bless you all, dear children. And I shall go see you as soon as I can. [a separate page] To my darling grandson whose name has not yet been make known to me, I send the enclosed cap and cloak. With love and Kisses to him and his dear Mama and papa. Grandmama "Phippas"
This may be the pronunciation Jack Dolman, aged 2 1/2, used. I hope Neppie is getting along nicely and the baby [Ted Nickinson] is well and good. What is his name to be? And was he born on the 6th or the 7th? Of course your telegram came on the 7th and was dated 9:43 AM. I have just finished doing up a box to send to Neppie containing the skirt & socks from Hattie and cloak & cap from me. I bought the cloak & cap yesterday, and should have sent it then but Hattie had to buy some lace to put on the skirt, and that had to be done this Morning -- hence the delay in getting the box off. I heard at the theatre yesterday that I am to be sent to play in The Middleman at "Palmers" Theatre on my return to New York. I play here [Philadelphia ] next week. When the Postman came at 3 PM today he brought your letter which I was very happy to receive, for I had been wondering if Neppie had suffered very long. I am glad she had so short a time. Of course her suffering was none the less while it lasted, but she would have more strength to endure it. I am glad she is pleased with her nurse. She had a treasure in her doctor who took hold and washed and dressed the boy so nicely. Not many doctors so good natured. How much did the boy weigh? I think "Arthur is a very manly name! Arthur, Duke of Wellington amounted to something in this world, nothing "sickly" about him. I think Arthur Macardell Nickinson would be a splendid name. I have no objection to the name of "Phillips" but I dislike the abbreviation of "Phil". I have one grandson John now, and while I appreciate your desire to call your son after your father, yet I think Neppie's wish and her family name ought to be considered. It is the swell form now to give a child its mother's maiden name and Macardell is a very pretty one. And your son has his grandfather's name in Nickinson. Had you not asked me, I should not have suggested anything, but as you have asked me I give you my thoughts on the subject. Great great grandson Phillips Lee Kuhl and great-great-great grandson Edward Phillips Nickinson have been known to be called "Phil", though both use Phillips as well. I was very glad to hear Neppie doing well. It was only the second letter I had received from you since the birth of my grandson. So the boy's name is Arthur Phillips -- all right! I am satisfied, even if Hattie has won the election. And I hope Neppie is satisfied, and that Arthur will be when he is old enough to know what his name is. But you must not call my grandson a "homely little cuss". That is not nice, and you would not like it if anyone else were to call him so. Newborn babies are never very handsome, but as a rule the ugliest at birth turn out to be the prettiest a few months later. It is a sign of growth when they stretch themselves so much & all the signs you mention tell me that he is doing well and growing fast. I hope I shall see him very soon & judge for myself. The nurse should sleep with Neppie and give you the other bed. That is always the rule when there is not a third bed. But what have you done with the cot? Couldn't that be fixed up for you at night and stowed away under the stair closet in the dining room during the day? If you have returned that, get another even if you only rent it. Have you bought stoves yet for the parlor & dining room? For the dining room I would advise you getting a stove on which you could heat water, boil a kettle and cook an egg so that you would not have to keep so large a fire always in the Kitchen, as the latter does not heat any portion of your house and the dining room does. There are stoves made that are quite ornamental and yet useful in this way -- try it. As soon as I get to New York and know what I have to get ready for and find I have something to spare I will help you to pay for it. Will help you anyway, but cannot tell to what extent until I know what my own expenditures will be. I do not want Neppie to write to me for a month at least. Her eyes must not be tired by either reading or writing until she is quite well and strong. You always have pen and paper at hand, and can always write enough to let me know how you are, and that will content me. I am very glad and grateful that Neppie got through so well. This is the 9th day and now she will, I hope begin to grow strong and have no setbacks. Keep her from draughts and cold. Give her my love and best wishes for a speedy recovery and bushels of Kisses for her and Arthur. The company go by 9:50 train Sunday Morning but I shall stay over Sunday as I do not have to play in Brooklyn on Monday, the "bill" being Aunt Jack, I shall not have to play in the opening bill at the [Madison] Square, but I suppose shall have to play in The Middleman at Palmer's [Theater] in Novr. and may have some heavy work to do for it. With Love and Kisses to you all three dear children I remain your loving Mother Regards & love to the family and all friends E.J.N. Saints & Sinners being so late on Friday night I could not catch the 1:17 train, so I took a room at the Stratford Hotel, Broad Street for the night, and did not return here until after performance of Jim on Saturday night. All the members of the company not in the cast of Alabama received notice this morning that their season ended on the 16th of May in Buffalo. Alabama will be run in Chicago for three weeks -- and I think it will be the only play done on the California trip. So unless something transpires I shall be idle for several months. I am sorry but cannot help it -- such is the state of the drama at present time. I do not like losing my salary for three weeks in Chicago, but am glad to escape going to California -- as I at present do not feel well or strong enough for the journey. I am now taking "Scotts Emulsion of Cod Liver Oil" and I think it is helping me. I was very weak, sick and nervous in Washington but feel a good deal better now, thanks to the Emulsion. Our new baby [Elizabeth Ellen Dolman] has not yet arrived but is daily expected. Hattie is very tired waiting, but is in pretty good health, and does not appear to be nervous over her approaching trial. Jack is a big boy now, and as great a chatterbox as ever. He talks of Aunt Neppie & Uncle Albert very often. He is crazy on the subject of steam cars and fire engines. John bought him a locomotive, tender and two coal cars for his birthday and for two days he worked harder over that train than ever any engineer did on the Erie. He was three years old last Thursday. I have made two trips to Lemon Hill with Jack. He has walked all the way and we have played ball there. We see the Observatory from the sitting room windows - I suppose you remember the Observatory and the elevator running up & down it. On Jack's birthday Mr. Dolman came about 7:30 AM to present Jack with a 10 Dollar gold piece, of the date 1888 [year Jack was born]. Pardon me for not sooner replying to your note to Hattie congratulating her upon the advent of her little daughter Elizabeth Ellen Dolman - but I have had the charge of Master Jack and he requires all of my time to answer his questions and play with him - that I cannot get an opportunity of writing, unless at night and then I have so many letters to answer! I am pleased to be able to tell you Hattie is doing very nicely - she has not had any set-backs of any kind - Miss Elizabeth Ellen takes her meals regularly and is very quiet and good. Mrs. Dolman and several who have seen her pronounce her to be "like Albert" and I do think so myself. She will be a blonde I am pretty sure. Hattie has an excellent nurse who lifts her about as if she were a baby. She sat up in a chair last evening for 15 minutes and from 5 to 1/2 past this Evening. This is the first day the doctor has not called - so I imagine he thinks she is now on the road to recovery. She feels stronger and better than she did after Jack - at this time of the case - and looks better than she did when I saw her three weeks after he was born. I am very grateful that all has passed off so much easier than I anticipated. She sends love to you - and has asked me a dozen times to write to you for her. We were very glad to hear that Edward was getting along so nicely. Hattie is longing to see him. Sorry you were without a girl - what was the cause of your girls leaving - marriage or more money? Excuse this letter Neppie dear. I am very sleepy, and my eye glasses make my eyes ache. Hope to be able to do better when all the anxiety and excitement has passed off and Hattie is herself once more. I hope it will not be long before I have a chance of renewing [Edward's] acquaintance. Today Elizabeth Ellen is a month old. She has grown wonderfully during her little life and is fat and plump as a partridge. The doctor says [Hattie] looks better than he ever saw her before. I know nothing of the Fall season, or whether I shall be wanted or not. Aunty [Zavistowski] of course writes that she wants me to spend some of the vacation with her. Emmeline and the two younger children have been visiting her the past two weeks. I did hope to be able to start [to Middletown] by the beginning of this week but the sore has not yet stopped discharging and consequently has to be attended to by Hattie every Morning. Will telegraph when I can start. We are having a hot wave here now and Country air would be very acceptable. I was very glad to hear that you had a pleasant journey home and that "Little bit of sunshine" stood the trip so well. I was not quite so frightened at his condition the Morning you left us as Hattie was. She was quite uneasy until your letter arrived. I went to Church this Morning at Girard Ave & 27th Street. Quite a bright pretty church inside -- surpliced boy choir but no further attempt at "High Church". Your letter informing us of darling little Edward's illness duly rec'd. We are very sorry to hear the sweet little fellow has suffered so much. I sincerely hope the lancing of his gums has given him relief, although it must have made his gums very sore, thereby causing him more pain. Wed'day he will be a year old. Not knowing how to judiciously buy anything for him I think it best to enclose his present in this letter and trust to your better knowledge to apply it. With the V my heartiest love and a bushel of Kisses. Have not yet received a call to go to New York, but may during the next two weeks. Now to surprise you with a bit of news that greatly surprised us. The house has been sold, and Hattie has to move within two months, but has the privilege to move as soon as she pleases. John saw a house yesterday that he liked and after Hattie has seen it he may take it. It is 2130 North 30th Street. The Ridge Avenue cars are the line they will have to use. You probably will be surprised to learn I have made an engagement away from Mr. Palmer, with Mr. Ramsey Morris, a stock company to travel. Season to begin Oct 17th to last 30 weeks and possibly 5 weeks additional. I have been negotiating with him for several weeks and on Monday signed the contract. Mr. Palmer's season does not begin before Decr and possibly January. Mr. Morris got Mr. Palmer's consent to address me which makes me think Mr. Morris is in a way working for Mr. Palmer. I get an increase of $10 per week. Shall have to be in New York rehearsing for three weeks before season begins. Joseph is the first production. I may have considerable travelling to do, but I can live at first class hotels as cheap as I can live in boarding houses in New York. Anyway the deed is done and I shall have to make the best of it now. Grover Cleveland and Adlai Ewing Stevenson defeated Benjamin Harrison and Whitelaw Reid on Nov. 8 1892 in the presidential election. Was much pleased to get your letter this Morning and know you and Neppie and the boy are well. We are also delighted to hear that you will visit us in August. Hattie was well pleased to hear such good news. Yesterday Mrs. James Dolman who had been ill since Thursday gave birth to a stillborn daughter. It was a question between the life of the Mother & child and the Mother was saved. Hattie went to inquire how she was this Morning. Saw the doctor and he was very well pleased with Millie's condition. Said she had a good full pulse and no fever and he hopes to bring her through to health. The baby will be buried this Afternoon. Six months yesterday, Jim [Dolman] was buried. Mr. Ramsey Morris was with us in our late visit to Chicago. Paid salaries and procured tickets for our return. I was introduced to him there. He is said to be an excellent business man. Has been with the Frohmans for some time. He obtained Mr. Palmer's consent to address me about the engagement. It is to be strictly a Stock Co, no stars. Mr. [John] Glendenning, Mr. [George] Giddens and Mr. [Reub] Fax are engaged. The two latter have been with Mr. Palmer and there was talk of the former being engaged by him. The first play is to be Joseph which I am sure Mr. Palmer was going to produce sometime ago. All these things tend to make me believe AM [Palmer] is at the back of it, but for various reasons does not wish to make it known and you need not mention my ideas about it outside your own house, but I think you will find we shall follow Bronson Howard's play [Aristocracy] at Palmer's Theatre at the end of its run there with Joseph. The Co is to be first class in every respect, play in first class theaters &c,&c. I think I shall be able to stand the travel. If I could have my children around me I would not want to travel but as it is I shall not feel so lonesome in hotels as I do in boarding houses in New York. And distance is only a question of a few hours more or less now a-days. Tell Neppie the journey to the Park is much shorter and easier to accomplish than at 27th St. I hope by the time you get here that Hattie will have gained strength & will be feeling well. I think John's grief is deeper seated than hers. The little girl had grown so like him, and had become so fond of him that he misses her very much. Then this trouble of yesterday brings Jim's death back so vividly that the whole family are again very much cast down. We took dinner & supper yesterday at 1738 [Franklin Street]. While at the dinner table Mr. Dolman made very kind inquiries for you. I said I thought you had been very busy with convention work. He smiled and said that Newspapers were generally pretty busy at such times. The little garment suit Jack has worn only three or four times when it was decided to put him into sailor suits so it is about as good as new. The other things he of course had more wear out of, but Hattie thought they would save you some sewing. All she sends belonged to Jack. Elizabeth's clothes have been given to the Children's Aid Society & to a child the same age as she whose Mother was very glad to receive them as she had more children than time to make clothes for them. Hattie I think has lost flesh since her trouble. She seems to feel her loss more now than at first. One month today the little pet left us -- it seems a year. Until I see Hattie looking better and feeling stronger I do not want to leave her. I think it is fortunate I can be here. Sometimes I fancy she is going into a decline and may not be long with me. [Hattie lived into the 1940's -- she came to Pensacola in about 1939]. Of course I do not let her know I have any such thoughts, but they will come to me and I cannot keep them away. Therefore do not expect me until after you have been here and do not refer to this in your letters. Today I received the following telegram, "Will you play Lady Dunscombe [in Jim the Penman] one performance Sept 15th at Peekskill N.Y. for AM Palmer. Answer stating terms. Père Victor". I have replied, "Yes. $25 and all expenses". So if accepted I can take Neppie with me then. I suppose I should have to go over on Monday the 12th for rehearsals. So I can take Neppie and place her in an Erie train then. Mr. [Ramsey] Morris sent me a letter last week saying we open in Montreal, Canada on the 17th of Octr and that he would send me "parts" and directions about costumes in a week or ten days so it begins to look like business. Cahn's Directory says the Wyoming Valley Hotel was the most expensive of the three Wilkes Barre hotels. Your father was a mason many, many years before I met him. Where he first joined the order I cannot tell you. It may have been before he came to the U.S., which was in 1836. He used to attend lodges wherever he happened to be. Was a Arch Mason & Knight Templar. I dare say he told me when & where he joined the order, for we often talked about the funny devices of the curious to find out the "secrets" but so many years have passed that I cannot recall it. I think though it was in Quebec he was initiated. And that would be about the time I was born. He was an Orangeman also, but never paid much attention to it, as far as I know. The apron I sent you is not the original one I think, by a good many, but it is some years older than you are and has been worn by your father. Practically it cannot be of value to you, only as a memento. We returned by B & O on Sunday. I intend to take up my quarters in Brooklyn for next week, maybe at the Clarendon, but our agent has not sent on list of hotels & prices yet and when he does I may change my mind. Mr. & Mrs. [George] Giddens are going to stop in Brooklyn so I shall not be alone. Have had a call from Tom Deise, Mrs. Kirby's nephew. And he sent me a bouquet to the theatre. Is in the lumber business. On Friday I wrote to you and enclosed a V, and Hattie and I posted it at a branch office on 8th Street just below Columbia Avenue. This evening the Call has an article saying that the mails have been robbed by the janitor of that office, and not yet hearing from you I fear that letter may have fallen into the gentleman's hands. I hope not, for this is not a good time to lose even so small a sum, but let me know on receipt of this. I was sorry I could not send for you to R'[idge]wood, but Aunty [Zavistowski] having no help, I knew it would be too much extra trouble for her and not pleasant for Neppie. Of course you & I understand her idiosyncrasies, but it would be strange to Neppie, and I want Neppie to visit her under more favorable circumstances. She was not at all well, and considerably bothered by the 3 boys and 3 new bycyles [sic] but she is being well paid by Mrs. Conway who pays her $25 per week for board for self & the three boys. Uncle is very well and "Nick" [who is Nick? Not AEN] is well. In the Fall you and Neppie will enjoy a trip there better than at present. John & Hattie seem to think they cannot afford a trip to M'[iddle]town at present. Mr. Dolman is not at all well, and they fear his breaking down at any time. I enjoy the [Middletown NY] Argus very much everyday, but it does not give us much personal news of Mr. & Mrs. Nickinson and their Son Ted, so write as often as you can. As yet I cannot give you any business news. Mr. Palmer sails for this Country on Saturday so I shall not hear from him before the 15th of the month, if then. It is too bad we cannot all be together, but such is fate and we must be patient. I am very sorry I could not stay with Ted a little longer and play ball with him. I did not think he would miss me so much. I miss him and Jack often wishes "cousin Ted was here to play with me". Jack is growing fast. He appeared so large to me when I came back and was overjoyed to see me. Has not told me since to "go back to New York and told his father last night that I was better to him than anybody else. Nellie [Law] moved into her new home last Monday and is nicely settled. Likes the situation & house much better than the old one. It is about the same distance from us, as you are from your Mama. And we do not have to pay car fare to go see her. She is getting pretty stout but seems well and in good spirits. Her children are well and are two terrors! Ted and Jack are mild little lambs in comparison. How did the lady who was ill get along? If it was pneumonia, she must either be dead or better by this time. I heartily hope she got well, and will be spared to her sons for many years to come. I started at the 7:30 AM [train] yesterday and was in Palmer's theatre office at 10:15. Had two talks with Mr. P[almer] but nothing decided for the future. He said he would want me, but could not tell when. I met several friends, and hope it would let them remind others that I am still in the land of the living. Being Labor Day the stores were all closed and the City was very quiet. Seemed like Sunday. Many Happy returns of the day. Accept the enclosed as a part of your birthday gift. It would be more only I rec'd a telegram at 4:30 yesterday to go to N.Y. tomorrow to see Mr. Palmer about playing the Duchess in Lady Windermere's Fan for Mr. Chas Frohman. I have to use a part of your birthday gift until I get back to draw from the bank [first mention of a bank]. John did not draw any yesterday and I have to go to N.Y. & return on $10. We rec'd the packages from you on Thursday Morning, and of course were much delighted with the pretty presents you so kindly sent us. My gloves are beautiful! I also rec'd a pair from John, some handkerchiefs from Hattie and a bottle of violet toilet water from Jack, a book from Mrs. Dolman. If I succeed tomorrow in closing an engagement with Mr. Frohman, I shall soon have to go to New York, for rehearsals and dressmaking (two expensive dresses for the part!) and will soon be able to see you. They have had a lively time in Sullivan County [Middletown] haven't they? What a dreadful affair! What a fiend in human shape! I hope they will keep a close watch on her. She is dangerous and may add to the already long list of her fearful crimes, if not well guarded. Esther Cleveland was the first child born to a sitting US president. It is only three weeks yesterday since Mama left but it seems much more. Her going was rather sudden & packing & going through trunks, etc threw the house into disorder, so I concluded I might as well clean house early. I made a small beginning, but that week I had a Church tea party to assist which took a day & two evenings from my week. The following week I made a bath-robe & woolen slippers for Mama, as I found when she was packing that she had no slippers & her bathrobe was shabby. Jack fell & got a big cut in his head that week making me more nervous than I already was. About Friday or Saturday of week before last Mama wrote me that she had been feeling so miserable that she had visited a Doctor who pronounced her trouble "Catarrhal gastritis" & put her on a particular diet &c. She wrote that she thought he was doing her good. On the evening after the first production of Lady Windermere's Fan I had a letter from Maud Harrison who had, I knew, been going with Mama to select her dresses & helping her in many little ways. She wrote to tell me that Mama had got through the first performance very nicely, looked lovely, &c, & then went on to tell me how sick Mama had been, what a terribly nervous state she was in, how every little thing exhausted her & all about it. She said she went with Mama & dressed her & would do so every night. She sent her letter by special delivery & enclosed samples of Mama's dresses. The latter fact made me feel almost as though Mama was not able to write herself. I wrote to Miss Harrison & asked her if she thought Mama was able to start out, or if she ought to come home. She wrote back that she would not hear to her going if she were not able or the Doctor thought it unwise, but she considered Mama was improving & that the change might do her good. Of course Mama was writing each day that she thought she was a little better &c but I felt so worried & upset that I determined to go & see for myself before she went as far West. So to New York I went Saturday morning leaving Jack in the care of his Grandma Dolman. I found Mama looking thinner & more haggard than when she went away & from all accounts she had had a pretty close call from a thorough break-down. The Doctor had been to see her the day before & made an examination of her. She thought she had a cancer or that her heart was diseased, both of which he denied. Said there was a slight irritation of the heart from the nervous strain & her system run down. Said her lungs were as sound as a drum. Told her she fretted too much. She denied it, but she does & always has when she is away from her children. She worries how they may be getting on & when she is home she worries because her salary isn't coming in. Summer vacations have never done her any good for that reason. It is among my earliest recollections. She is not weak in any way & doesn't feel weak. I think it has all come from mental worriment. Her interviews with Mr. Palmer before the engagement was made were not pleasant for her & then when she made the engagement she only had two weeks to get ready for it. Two very expensive dresses to be gotten up & the first act was hard study for her. But she has pulled through nicely, looks lovely in the part & young. I remained with her & saw her off on the train at J. [ersey] City after which I took a train for home. She writes me that she saw you for an instant & was very glad to do so. We had hoped to see Albert Saturday night. Aunty & Mrs. Conway were at the Matinee but we did not see them. Mama gets through in the 2nd act & we left the theatre before the play was over but they left their names on a piece of paper. I was sorry I did not see her (Aunty). I am in hopes that as Mama gets a little more rest & (a few more salaries) she'll begin to feel better. I am sorry the company are all strangers for until she becomes acquainted it will be lonely & when she does become acquainted she may not find anyone she cares for. I hope you & Buddie will write often, for when she is away our letters are her only comfort. And now about your kind invitation for us to visit you. You have asked us after & we would really like to come & I had expected to but we really do not see just now how we can afford it. Buying a house makes us poor in other things and hard times don't improve matters. I didn't want to go in the summer when Mama was there for I thought it too much for you in the hot weather to have us all at once & I thought it only fair to let you have Mama to yourselves. After she came home she offered to keep house while we went, but I didn't want to do that, & am glad now that I didn't. And now with winter coming on there seem to be so many things we need for ourselves & the house that we don't feel that we can take the money for a trip much as we would like to visit you. So I hope you will excuse us & be sure we will come when we can. Excuse the mistakes I have made throughout this letter. Guess I am my Mother's daughter as far as nervousness goes. Enclosed find $50 to be divided as last year between you, Neppie & Ted. With best wishes to you for a Merry Xmas and Happy New Year. I arrived here yesterday 6 AM having been travelling since 6 PM Sunday. A long tiresome ride. On Sunday 6 PM I meet the Co at Broad Street Station and go to Baltimore with them to open there at Matinee on Xmas Day. Hattie is sick with La Grippe. Doctor in attendance so she is much behind in her Xmas work. Jack is better but his cough still clings to him, but it is not whooping cough. I think we can match Middletown in bad weather. March has her mission to fulfill and must have her own way until she accomplishes her task and it is not our duty to find fault -- but to bear our long suffering with uncomplaining patience. Jack is all right again and going to school. This week he goes in the afternoons and next week in the mornings -- this alternating gives the schools a chance to instruct more pupils than otherwise their capacity would allow them to. But whether it is better for the children or not is a question! But it is at least better than no schooling. I am as usual beginning to feel a little "blue" that my occupation is ended. I am rested and want to go to work again -- but I shall have to wait for a long time before I shall be wanted I am afraid. Had a nice letter from Mr. Frank Connor this morning, tells me he saw Mr. [Arthur] Shirley and Mr. Wells off for England last Sunday and has had an interview with Mr. Humphreys at the Empire Theater and he told Mr. Conner that at present there was nothing being done in regard to new plays or "casts". So for the present there is no sense in my going to NY and presenting myself to the New York Managers. I left Walter [Dolman] behind me in Chicago, but he and the new "cast" of Lady Windermere were to leave at 6 PM yesterday for Minneapolis where they are to play tonight and the next two nights. Then go to St Paul for 3 nights. After that 3 weeks of 1 night stands before reaching Denver, Col where they play for one week afterwards, proceeding to the Northwest, and then down to San Francisco where they play for a week. Very tall travelling, but very interesting to those who have never been over the Country. Nobody is offering me $100 per week for next season as yet, but may shortly. AMP[almer] is in England. Will be home early in July. I feel rather glad to have a rest. I hope the weather will continue cool so I can do some sewing and make myself presentable to visit you in July. I am in rags and tatters at present. I would finish my visit soon as the 8th of July was over. I expect to give acting lessons to a young lady for a few weeks, and that will be the only thing to detain me. How long she may want to take them, I do not know. It will depend upon how she succeeds. She thinks it is easy work, and she was surprised to find there is as much work and fun in it. She is over thirty, rather late to begin. Buildings are going up all around us. Twenty-six homes are being built on the square of ground between our block and the reservoir. A Chapel and four houses on the block behind us and South of Columbia Ave they are building as fast as they can, and as far as the Park boundary will let them. I used to be able, from three windows, to see West Phila but the view is blocked by three story houses. I of course wanted to be with Albert for his birthday, but the young lady I told you of -- who is anxious upon my teaching her -- we began lessons last Wednesday, and the second lesson took place yesterday. She is to come regularly on those days and said yesterday that, perhaps after this week, she would come oftener. She is willing to pay, and I need the money. She has begged me not to go away but to stay and give her lessons so I shall have to ask you to excuse me -- for not fulfilling my promise for the present but will, I hope be able to stay longer when I do come. Did not settle anything definitely in New York. Left my affairs in hands of Mrs. Fernandez. I found everything very dull in New York. John expressed a wish to see the Ocean. And Hattie asked him if he could afford the expense. He said if he waited until he could afford it, he would never go. So accordingly we started on Friday. It was the first time I had been down the "Delaware". I have not made any arrangements for next season, and do not as yet see any prospect of my getting anything to do. Of course, you can understand that makes me rather "blue". It was later than this when I got the "Duchess" [in Lady Windermere] last year and perhaps something may yet turn up. I still have my one pupil, but she has missed several lessons on account of the weather, and consequently my income from teaching is as yet a small one, but if nothing turns up, I shall endeavor to get some other pupils when the hot weather is over and try to earn my salt, if I cannot get enough for bread. I did not expect this state of things so soon and feel it very seriously, but what cannot be cured must be endured. I have nothing but the same old story. I want to come but John has felt the hard times in his business & the house is such a tax upon us that we have nothing left for anything else. If you & Albert feel that you can come to see us I hope you will do so and not hesitate because you "were here last". I long to see you all. Your having the free passes to NY would make the trip a little less expensive for you than for us. If the new tariff starts things booming & John makes some money, I will come. Glad to hear you are enjoying the drives with the new team. I hope Mollie has not been discarded -- she is too good and faithful to be put aside. I hope she will retain her old quarters in the stable. Yesterday a Kindergarten school opened in the Chapel and Jack started to school again. He likes it very much. A Miss Ogden is the teacher. Josie would not take it again, as it did not pay her to do so. I would prefer seeing Jack go to Public School, but the nearest one is at 28th & Columbia Ave, and is so crowded that half the children cannot be taken in, and of course the larger ones get preference for admission. I feel "right down in the dumps". I am still a member of the great army of the un-employed, do not think anything will be given me before Novr, if then. I am trying through Marcus Mayer to get with the new English star, Miss Olga Nethersole -- who plays legitimate roles -- and is to a certain extent under the management of [Augustin] Daly. The lady is expected to arrive next week, when matters will be settled and engagements made. And I hope to be one of the fortunate ones. No engagements have yet been made, except that she brings her "leading" man with her. Thursday Walter Dolman will be 21 years old. He will be in Denver, Col. He writes [that] during his season has lost about 5 weeks salary, by the management not being able to make dates, which must have been rather hard on Walter's purse, but he is buying experience. [Mama] arrived home from St Louis on Monday the 22nd about 1 PM. We spent the afternoon going through trunks and she left Tuesday morning at 7:30. I packed her trunks & took them over on Thursday & stayed with her until Tuesday. Josie kept house for me. It was well that I could go, for she had a wretched time of it. Long rehearsals, running to dressmakers &c & the part was altered just enough to make it confusing & more troublesome than a new one. And she was ill in the bargain. The day before I arrived she had nothing to eat between 9 AM & 6 PM. She began to feel so worn out & miserable by Saturday that she went to see Dr Smith who thought the trouble came from nervousness. Sunday night there was a rehearsal, which was not over until 1:30 Monday morning. Mon morning she saw the Doctor again & he then said her liver was congested. She was a little better when I left her yesterday. The part is a hard one for she has to wear four dresses, two she had made at Simpson & Crawford's [department store], the ball dress she had, and I freshened it up & in the last act she wore one of her Joseph dresses. Opened last night to a fair house in Camille. I think the audience was pleased with [Olga] Nethersole & hope business will increase. We begin rehearsing Frou-Frou this Morning, but when it is to be played I do not know. I was in high hopes we had done with rehearsals for a time, but this very ambitious young Nethersole is determined to keep us at work. I did not have time to think since we commenced in New York until Friday last, when for the first day we had no rehearsal. It has been something dreadful but to my own astonishment I have pulled through. We are playing at the "Alvin" Theatre, almost adjoining this hotel. Next week Washington, the following week Baltimore. That is as far as I know at present. Yesterday I was called to rehearsal and did not rehearse, and today no rehearsal for the first time in over five weeks. Here I am living next door to theatre, which is also a great rest to me, and I am beginning to feel quite like myself. We played Camille the past two nights, and the curtain did not fall on last act until 10 minutes of 12 each night. I being so near theatre got into my room at "14 of 12" but in New York and Philadelphia it used to be half past 12 before I got home, and it was very tiring to me. EJ Phillips played the Nurse to Olga Nethersole's Juliet. I am afraid there will not be any chance for me to obtain any employment for the Summer. Had a note from Mr. [Robert] Taber, today, in answer to mine says "I regret that your terms were such, that it made it impossible for me to arrange with you". Have replied that "I am sorry the terms were not satisfactory, but thank you for the offer". So that is off. I see by the Mercury that the many requirements of Charity and Society keep you pretty busy day and night. I congratulate you on your success in "Caprice" & the handsome amount the performances thereof brought to the treasury of the Thrall Hospital. How did you procure the play and what Royalty did they ask for it? On Monday the 13th I appear at the Girard Theatre for one week as the "Marquise de St Maur" in Caste. It is 19 years since I played it at the Chestnut [Street Theatre, Philadelphia]. Mr. Dolman is not so well again as he has been and the doctor thinks the hot weather will hasten matters. He has given up going downstairs for his meals. He is very thin and weak. Nellie to go back to Will, I am told but do not know any particulars. [From an undated 1895 letter, prior to John Dolman Senior's death: Nellie and Will are reconciled and begin housekeeping again next week]. The house is taken from the 15th (Saturday). I hope the past may prove a wholesome lesson to them. My opinion is that Will has behaved most manfully and well and done all he could to make things pleasant. John [Dolman] is now the Phila correspondent of the New York "Clipper" and has to go in search of news. He visits the various theatres in town nearly every night now, and I tell him he is getting very giddy. He was rather bashful at first, but is beginning to like it. Walter [Dolman] is still without an engagement and is very anxious to get one. Caste by Thomas William Robertson April 1883 Could this be 12 years rather than 19? And how did you enjoy your trip to New York? Did you like the Gay Parisians? I am so glad they did not want Mama to go to London. I'd like to go myself, but I did not fancy having her go so far away alone. My next door neighbors called on her a few weeks ago, and thought she seemed very well and in good spirits. You know dear sister mine, that I want you to come to see us very much, but I don't like to press the matter or urge you against your judgment. I know how it was with me during the time between my first & second visits to you. I always wanted to go, but never could seem to feel justified in doing so. Therefore if that is your feeling I respect it, at the same time, I want to see you so much! Come tomorrow if you can, and if not as soon as possible. Tell Buddie he's a sassy thing to think I am going right on working for a fair that is to be held "sometime". Why perhaps they will make up their minds they don't want a fair at all! Nay, nay, Pauline. When the date is set let me know & I will endeavor to bring my artistic skills and tastes together & give him the benefit. I played at a Matinee on Thanksgiving Day in Toledo, at night, and on Friday night going to train after performance to be taken to Columbus, where we opened with a Matinee on Saturday and played Saturday night. The last two weeks that we thought would be comparatively easy turned out not to be, with the St Louis week the three hardest weeks we have had. We feel tired out but will have no travelling for a week. And the theatre is almost next door so I hope to have a little rest before making my appearance in Phila. Since my arrival I have slept every Morning until after 10 and the rest of the day soon passes. Yesterday left here at 12:30 and returned at 11:30 so did not get time to write. This Morning I feel more like myself than I have since my arrival. The nerves are more rested. Hattie had a letter from Grace [Macardell, Neppie's sister] this Morning saying they, she & Agnes [Macardell, also a sister], would be here on Monday and remain until Wednesday with her. Hattie will meet them. They say they have had a nice time. We will try and continue it for the short time they propose to remain with us. They are now in a hurry to get home for Christmas, or we should like them to remain longer. Mrs. Dolman is now able to come out here but looks as if she didn't have any red blood in her. She is excessively pale. John looks well and Hattie is fat! [pregnant with Melanie] All who have seen me think I look well after my long journey. We shall look forward with impatience for your arrival on the 26th. Our route has been changed so that I cannot go back on the 28th with you as I have said I would, as we go to Washington for that week instead of to Murray Hill Theatre, N.Y.. 4th of January we go to the "Garden Theatre", New York. Hattie asked me this Afternoon if I had answered your last letter. I told her I thought I had but was not really sure. So for fear I did not write I will scratch a few lines now to tell you we are getting along slowly and Hattie has made up her mind to carry her burden until November. And today has been preserving strawberries, so if she gets through the next few days she will be safe then until the proper time. Yours rec'd containing the welcome news of Jess [Fouquet]' safe delivery and Con [Macardell]'s wedding. Two great events to be disposed of on the same day. Neppie must have had her hands full, and must feel pretty tired now the excitement is over. I hope she does not feel any the worse for it but that a rest of two or three days will make her all right again. Hattie at times seems to be well but at others is nervous and not at all like herself, but I think she will now go on until November. I have asked her what she will do in regard to going to see you in July. She thinks it is impossible under present state of affairs. She has an idea she might be taken ill at any moment and would not like to be absent from home. Mama arrived home just about noon looking very well indeed, but she has had a little of her old trouble since her return. Auntie [Zavistowski] had got pretty well straightened out but the poor soul is in the same mess again owing to the rains and floods of Monday night. She wrote Tuesday & said everything in the cellar & kitchen was afloat, pots, pans &c &. Said if we could see her, we would pity her. It does seem a dreadful shame! I am glad Mama was not there, for I am afraid she would have pitched in to help & overtaxed her strength. 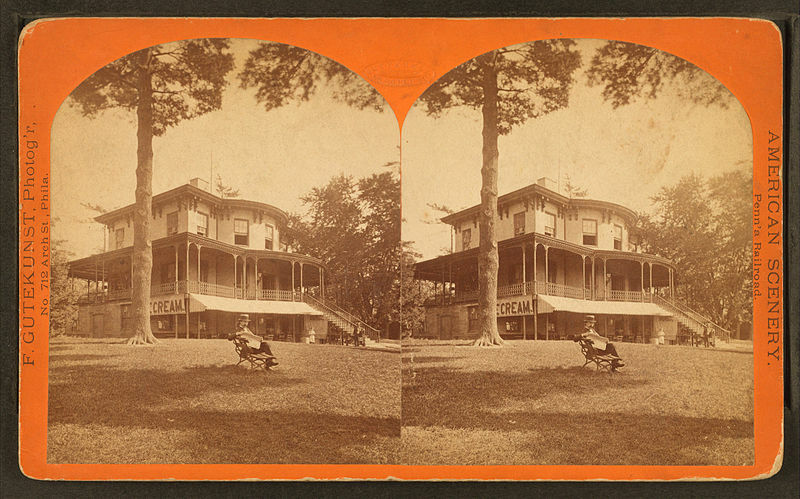 Mama had to go into New York the day before she left Elizabeth [New Jersey, where the Zavistowskis lived]. 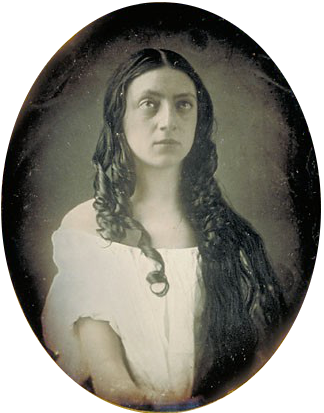 She had a telegram from Mrs. Fernandez offering her an engagement at the Schiller Theatre, Chicago in a Stock Co. But the whole thing seemed so uncertain & unsatisfactory, she thought it best not to accept. [Douglas came to see us in Pensacola when he was stationed at Ft Benning during WWII. His wife, Dorothy and two sons stayed in New York as "she had such an important job teaching kindergarten". Grandmother Poor Old Lady POL was rather scornful as she said she would go anywhere Daddy was stationed. They were both just as happy to stay in Pensacola [where the POL ran her father's shipping agency], but I would have loved to have traveled. Yesterday I attended the funeral services of Mrs. John Drew at St Stephens Church and followed her to the cemetery [Laurel Hill] which is not far from us. The Church was packed with people and the Cemetery was crowded. There was no getting near her grave. Mrs. Dolman was with me. I am still waiting for a manager to send for me but I think it likely I shall have to wait sometime, for I do not see anything in the papers of new productions. Glad to hear Ted [nearly 7 years old] is going to school again and likes it. Jack goes Mornings and Afternoons now and seems to be enjoying it, much better than only one session a day. I am glad to hear Abram [Macardell] has gone to college. It will be a great change for him, and fit him to do battle outside of his native town. I wish him every success. I had a call from Mrs. Fernandez last week to be in New York to attend a rehearsal today. I wired that I would be there, and on Saturday Morning she wired me not to come. It had been decided not to do the play. So of course I am here. When I got up yesterday Morning a letter to you was the first task I had set myself to do but the letter carrier brought me a note from Miss [Maud] Harrison saying she would arrive by six o'clock to remain overnight with us. So we had some necessary preparations to make for her reception, She left this Morning to take the 11 AM train for New York and I am going to try and get this off before noon. Dr thinks it will not be much longer for [Hattie expecting Melanie] to wait. I hope not for she is very tired. I hope Jessie's rheumatism is not troubling her and that Miss Grace's toothache has been relieved ‑‑ best remedy I know is Listerine. We have been having a very disagreeable time with Sadie. She has not been worth her salt for the past six weeks, so Hattie gave her notice to leave a few days ago and we are to have another come on Sunday next. Sadie will remain this week. She has acknowledged her faults and would be willing to remain, but we think a change will be for the best. It is unfortunate just at this time, but it cannot be helped. The newcomer is a widow ‑‑ about 40 years of age and larger than I am. She is strong and healthy looking and seems willing to work. How she will "pan out" remains for us to find out. I am afraid we shall all sink into insignificance beside her. Will be able to tell you how we succeed when we have a week's experience with her. I suppose you all enjoyed Albert's squirrels & Quail. The latter I should have enjoyed, but no squirrel or rabbit for me. How is Ted? Well I hope, and getting on fast at school. My love and Kisses to him. I hope he sometimes thinks of Grandma. One month from today will be Christmas or rather tomorrow and your anniversary will be on Sunday the 28th. That is the date when our little stranger is expected. Will be nice if it would arrive that day. But Man proposes and a Higher Hand Disposes and we must be satisfied with His Will! Whatever it may be and be thankful. Sorry your girl has left you. We have had a rough time with them. Can get girls but cannot get them to do the work. Pardon me for not acknowledging the receipt of your package sooner, but I have been kept pretty busy since the arrival of Miss "Katherine Harriet" and cannot get and to do all I ought to do at the proper time. The sacque is beautiful and Hattie is very pleased with it, and sends you thanks. She thinks your work excellent and is delighted that in showing it to her friends she can say, "It came from my sister". Hattie is kept weak by the night sweats, but I hope in a few days she will be better as the doctor is giving her remedies to stop these unpleasant experiences which she has had after every confinement. The baby is doing well but has given us every night about 1 to 3 a taste of her musical qualities. Jack is very fond of her, thinks her "very sweet". We are all doing as well as possible under the existing circumstances. The young lady is still in doubt as to what name will be given to her. The latest selection is from John -- "Melanie Nickinson". He liked Katherine Harriet but his Mother did not like "Katherine". I have had nothing to say in the matter. The name matters little, if only she has good constitution and good health -- both of which she seems at present time to possess. Hattie & I both thinks she looks like Albert. She certainly looks like my babies did, but she is only two weeks and 3 days old and may change before she is a month old, at which time I hope you will, with Albert & Ted be here to be introduced to her and judge for yourselves. The young lady is hearty. Consequently her Mother is not gaining strength very fast and is troubled with night sweats, but has a good appetite and physically is doing well. Albert played Hatebad Higgins, agent of the Mayflower, in this play about Miles Standish, John Alden and Priscilla "the pretty Pilgrim" set in Plymouth in 1620. Your Mother wishes you many, very many Happy returns of the New Year. With good health to enjoy all the manifold blessings that I trust will be granted to you thigh His Divine Protection and Beneficence making you truly worthy to receive the same for His Sake. [Melanie's] lungs are strong and she lets the neighborhood know she is alive. You may imagine we felt terribly mortified at John's forgetting to post Hattie's letter to you. It must have left you in great uncertainty as to what you were to do. John was so very busy and Jack's illness troubled him so much, that it was not strange he forgot to post the letter. From Albert's letter to me of course you were not disappointed in not coming. I hope Easter will bring better luck to us all and a happy meeting. Poor Jack had his Christmas tree put up. He & John worked hard on Xmas Eve trimming it, but on Christmas Day he took very little interest in it and I couldn't understand what ailed him. He seemed so quiet and gloomy. When the doctor came on New Years Eve to see him he could not decide what ailed him but said it was either measles or Typhoid. And he hoped it might be measles, so on New Years Morning, sure enough the measles were fully developed and we were all made happy for Typhoid is so long and tedious and one never knows when it will take its departure. I hope he will not take it, but he may for there are a great many suffering from it and this locality [bad water?] And in Nellie's neighborhood measles are epidemic. I did not intend being so much behind time in answering your good newsy letter, but each day finds me busy and the hours past. A baby in the house is paramount to all other considerations & we all have to take a back seat when Melanie has the floor, which she takes pretty often, but she is a good little soul, and we have to answer her. So you are going to move again. I wish I could help you to do so, financially and personally but alas, I am no good either way, much as my heart yearns towards you. I have been idle for a year and so have many others in my profession, even those younger than I. Whether I shall be able to appear again is doubtful, though I am not in bad health, but the accumulation of years has me tied down and I cannot do as I have done. I did hope to be able to pull through for another five years at least, but it is vanity for me to think it. "All is beauty. 1894 1 1 2 weeks Philadelphia PA Chestnut St Theatre Lady Windermere's Fan Broad Street Theatre? 1894 5 14 to 0ct 7 Philadelphia PA EJP at Hattie's "waiting for something to turn up"